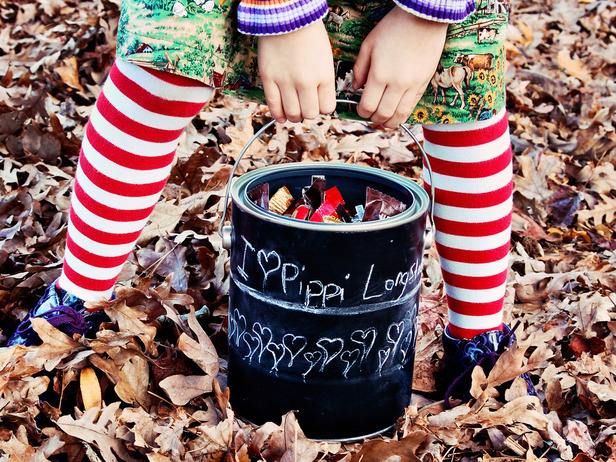 Trick or Treat night is almost here. You've bought your candy, got you & the little one's costumes all ready, spruced up the porch, and carved your pumpkins. So how about one more fun little project that you can use again and again every year, only takes a minute, and is so darn crafty & fun that you will have a blast putting it together? Trick-or-treat bags!! 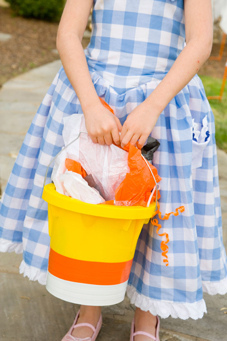 I mean, why go to all the trouble of working on the perfect costume if you are just going to accessorize it with a plain old plastic pumpkin Halloween bucket? Here are nine, that's right, NINE different tutorials (most ever-so-easy!) that can send your little prince or princess, pirate or monster, out into the neighborhood with style in no time . . . 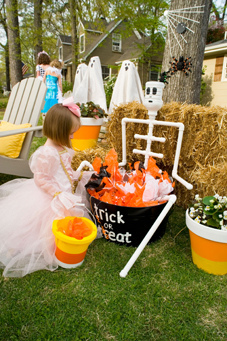 These amazing buckets are actually made from gauze bandages and a plastic flower pot! Find the tutorial HERE . . . 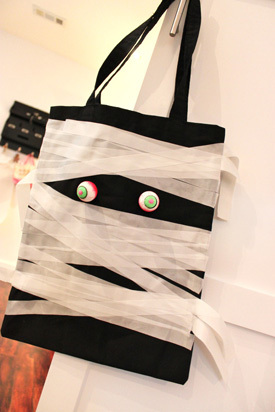 The sweetest FIRST AID TAPE mummy bag can be made by going HERE . . . Still hanging on to a few of those paper grocery bags from the last time you forgot your reusables? No worries, you can use them again now! 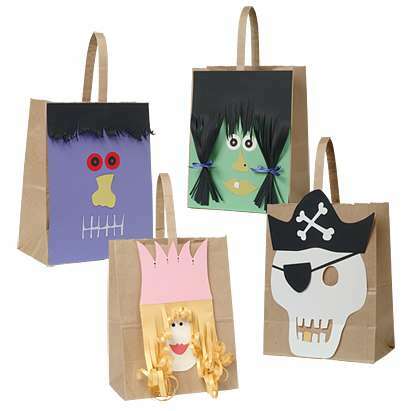 Just use construction paper to cut out fun shapes & faces and glue them on. 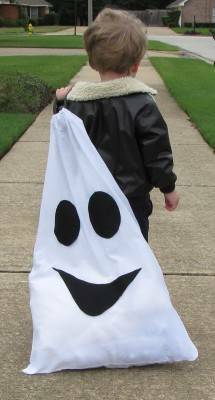 I would double bag if you have an adventurous tyke who plans on getting LOTS of candy . 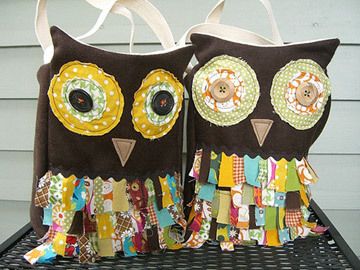 . .
Whoo's making an awesome treat bag? Well you are, of course. Find out how to make this one HERE . 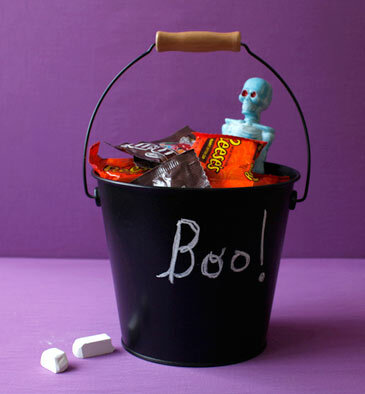 . .
Or in case you already loaded up on the plastic pumpkin buckets, just cut out felt feathers, eyes, an owl head with ears, eyelashes, and a little beak and end up with a clever little bucket like this one, courtesy of Ellekate. You know we are a bit candy corn crazy in my neck of the woods this year. Join in the madness and use up your spare ELECTRICAL TAPE by following this tutorial HERE . 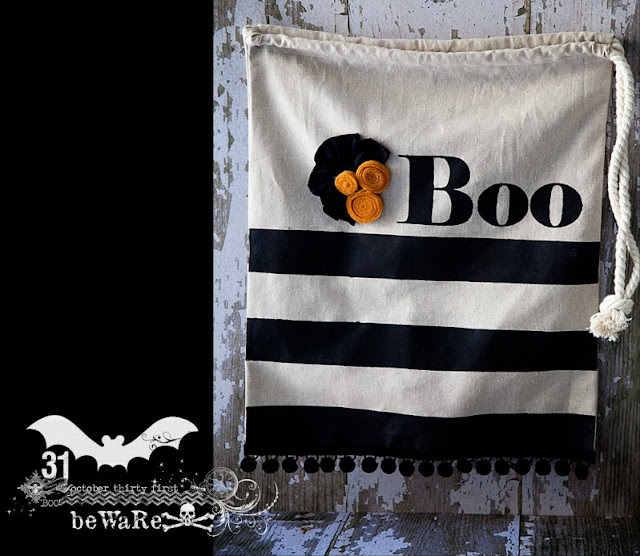 . .
Make a Boo-tiful Bag with your classic pillow case by popping by for a visit over HERE . . .
Or for the fantastic one below, go HERE . . .
And this is my favorite, sent over by my creative little sister. Remember that chalkboard paint we were going crazy for a few months back? Well bust it out and then head on over HERE . . .
Now how are you ever going to resist whipping up one of those clever little carriers? Even better, you probably have plenty of materials laying around the house just waiting to be turned into a bag full of goodies. Ah, I just love the perfect addition to the most adorable costume on the block!! !